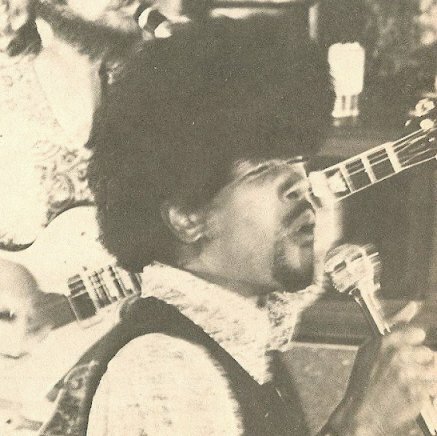 Don and Dewey were an American rock and roll duo, comprising Don “Sugarcane” Harris(June 18, 1938 – December 1, 1999) and Dewey Terry (July 17, 1937 – May 11, 2003). Both were born and grew up in Pasadena, California. 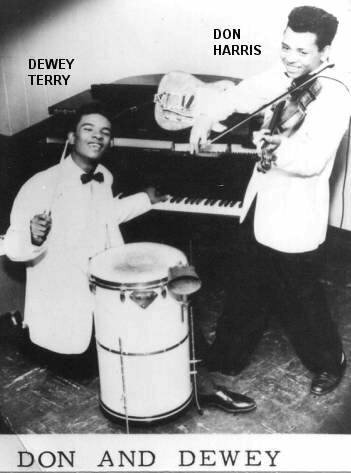 In 1954, Dewey Terry was a founding member of a group called the Squires while still in high school. He was later joined by a friend, Don Bowman (who would later change his name to Harris). In 1955 the Squires released a record on the minor Los Angeles-based label Dig This Record. 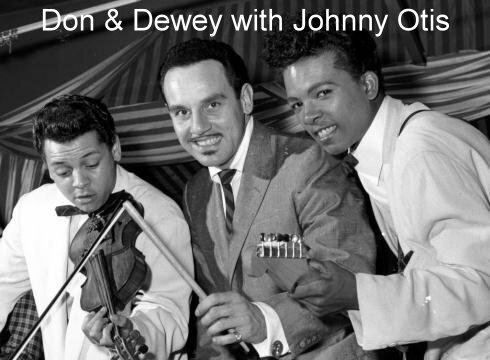 In 1957 the group broke up, but Don and Dewey remained together. Later that year they were signed by Art Rupe’s Specialty Records label and for the next two years produced rock and roll. Both Don and Dewey played guitar, with Dewey often doubling on keyboards. When not playing guitar or bass, Don occasionally played the electric violin, a skill for which he subsequently became well known under the name of “Sugarcane” Harris. Legendary drummer Earl Palmer played frequently on their sessions. Although Don and Dewey did not have any hits of their own, several of the songs that they wrote and/or recorded would appear on the charts later, performed by other artists. “I’m Leaving It Up to You” became a #1 hit for Dale & Grace in 1963. “Farmer John” was a hit by The Premiers, reaching #19 in 1964 after having been covered by The Searchers a year earlier. “Koko Joe” (written by the then Specialty Records producer Sonny Bono), “Justine” and “Big Boy Pete” were staples for The Righteous Brothers for many years. (Indeed, it has frequently been noted that the early Righteous Brothers act was quite closely based on Don and Dewey’s.) Finally, “Big Boy Pete” became a minor hit in 1960 for The Olympics, reaching #50 and a #4 hit for The Kingsmen when recorded with new lyrics as “The Jolly Green Giant” in 1965. In 1959 Don and Dewey and producer Bono left Specialty Records for Rush Records, where they recorded a few songs but split up shortly afterward. In 1964 Art Rupe recorded both Don and Dewey and Little Richard (another Specialty Records act) and, although some energetic music was generated, there were to be no further hits for either act. The pair played briefly in Little Richard’s band and then went their separate ways once again. 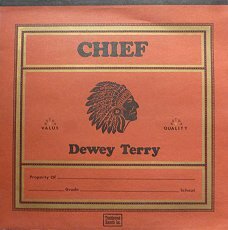 “Don and Dewey” is also an instrumental by the band “It’s a Beautiful Day”. It features on track 1 of their 1970 album “Marrying Maiden”. The band feature a violin, so this may have been the inspiration to write this piece. 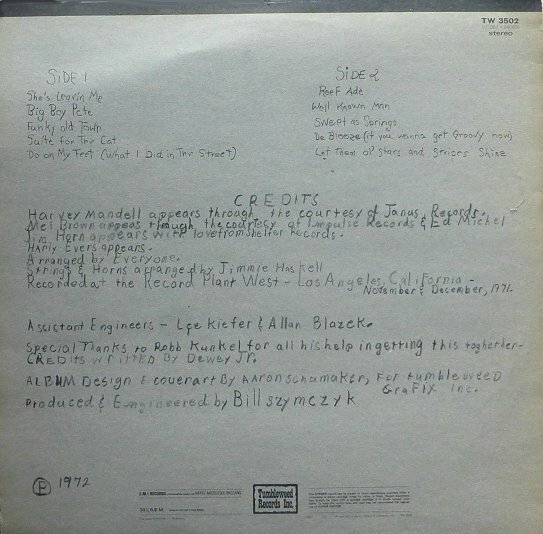 This label was launched in 1971 by a group of businessmen, among them Bill Szymczyk, who would soon be famous as producer for Eagles and Larry Ray, both associated with ABC/Dunhill Records. The label was located in Denver and largely financed by Gulf+Western. It took only nine albums to spend all the money, after which the label folded in 1973. 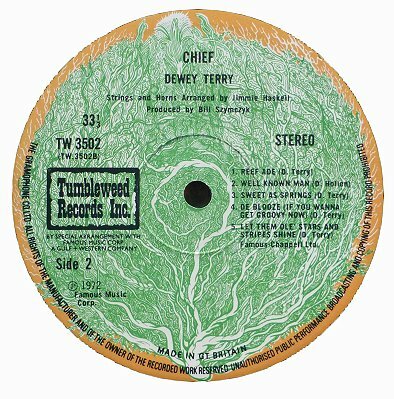 Dewey Terry is a soul singer, pianist and guitarist with a strong church / blues feel in his music. The album opens with a ballad accompanied only with his expansive piano and then kicks in with a great “Stax like” version of his co-written song, with Don Harris, “Big Boy Pete”.